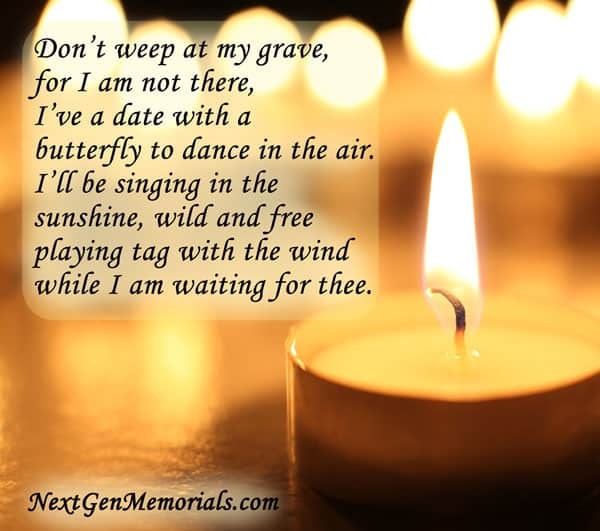 Funeral Poems, Memorial poems to read at a funeral. 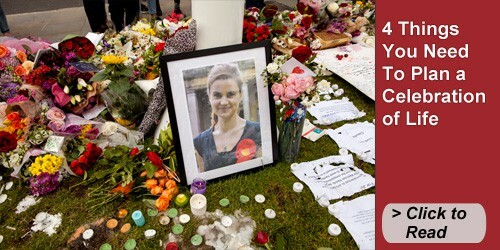 Memorial verses. 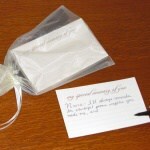 Are you seeking funeral poems to read at a funeral or memorial service, or sympathy poems for a card or letter? God was to call your name. from the moment they appear. as their presence lifts our spirits. Consider putting pocket charms on the table that reflect your loved one. 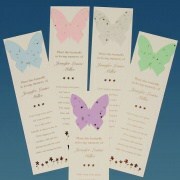 Place butterfly charms on the table where guests enter, to give them a memento to take with them after the service. View more pocket charms. 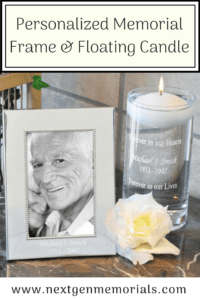 Read more memorial table ideas. and pleases wherever it goes. Hold a hand, say a prayer, close your eyes and see me there. Butterfly poems can be printed on this personalized bookmark. 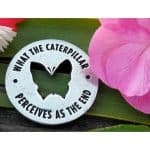 Plant the butterfly and flowers will grow in memory of your loved one. View more plantable cards. butterfly to dance in the air. while I am waiting for thee. Where I have gone I am not so small. My soul is as wide as the world is tall. Of the One who takes care of us all. 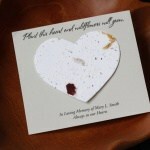 Seed Card Plantable Heart is personalized and is made of seeded paper that grows wildflowers when planted. 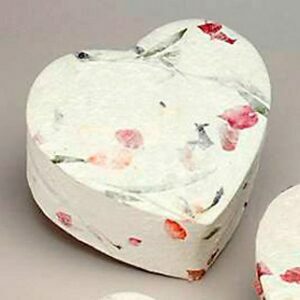 Guests can plant the heart to grow flowers and remember. 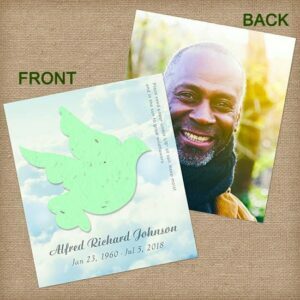 View all plantable personalized cards to hand out at a funeral or memorial. Miss Me – But Let me Go! More memorial poems for Dad. 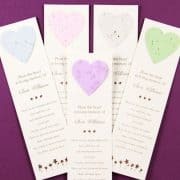 Plant the heart and wildflowers will grow in memory of your loved ... >READ MORE. Capture memories of your loved one from guests at the funeral service. ... >READ MORE. 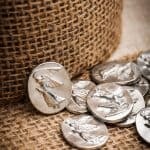 Give this pewter pocket angel coin to family and friends as an ... >READ MORE. This metal pocket ring says on the front "What The Caterpillar Perceives ... >READ MORE. 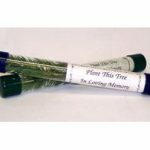 SORRY THESE TREE SEEDLINGS IN THE TUBE ARE NO LONGER AVAILABLE. Memorial ... >READ MORE. 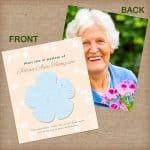 Give forget me not seed packets with a personalized card attached, to ... >READ MORE. Capture the spirit of your loved one by adding your favorite photo ... >READ MORE. 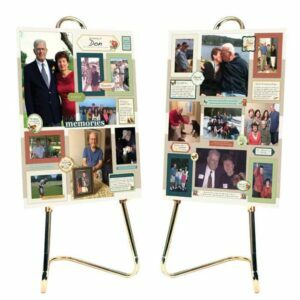 The memorial boards kit and photo collage contains decorations, frames and sayings ... >READ MORE. Page 1 2 >>Next Page Click here for more funeral poems. 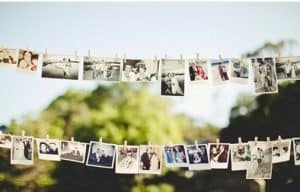 Ask family and friends to bring their favorite photo to the celebration of life, and they could pin the photo onto a clothesline. 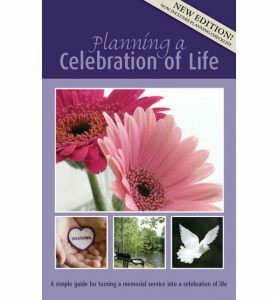 Planning a Life Celebration Downloadable Guidebook has many tips, ideas, and examples plus a handy checklist. 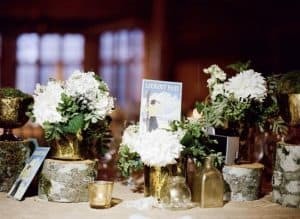 This is a creative way to display postcards from your loved ones’ travel adventures using flowers and various sizes of trees stumps to create some height. 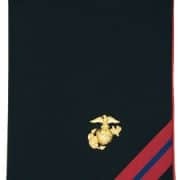 Memory boards are used similarly to memory tables but items are posted on a board. Our kit helps you create a beautiful photo collage. Need more ideas? Download our guidebook today. 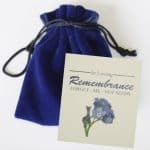 It contains funeral and memorial poems, tips, ideas, and a checklist you can use while planning a funeral, memorial, or celebration of life. Or visit our page Resource Index for Planning a Funeral to see all of our helpful pages. 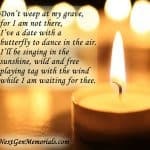 Browse our large selection of funeral songs with lyrics and player. 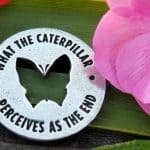 Since 2002, Mary Hickey, owner of Next Gen Memorials, has been helping people create unique and memorable Life Celebrations. 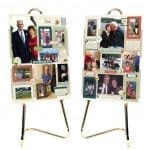 Here’s a cool idea: create a memory table at the memorial or celebration of life. Include your loved one’s hobbies or interests, and place it near the entrance where guests can see it. Download Mary’s book now and find many other great ideas.